It's been a long while since I've read anything this cute and adorable. I do have to say, this author always knows a way to my heart with her books. 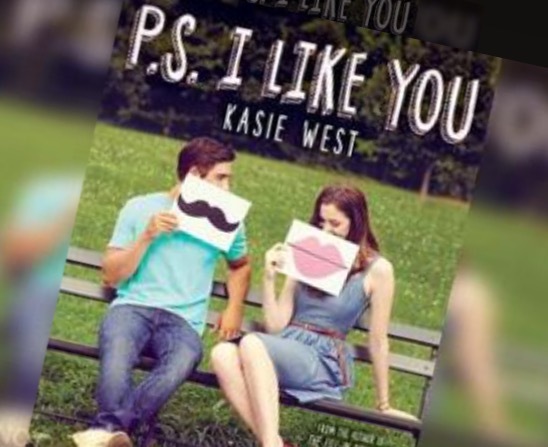 I always wish there was a second part to every book she writes but it's also satisfying to read a standalone, especially when they're so adorable: PS I Like You by Kasie West. Little note: I read this as an Audiobook! 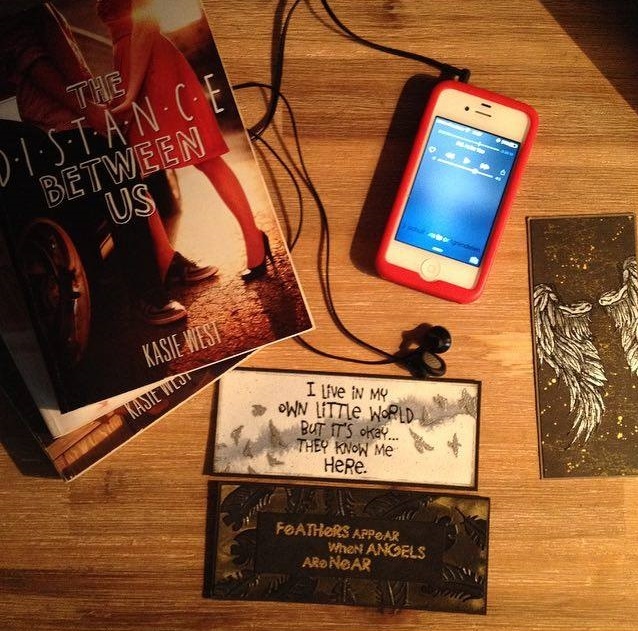 Can I just say how much I actually liked listening to an Audiobook? 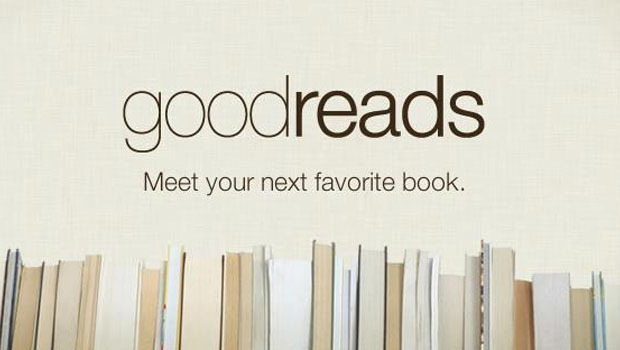 I had never expected that I'd like it because I also don't like e-books. I just want the physical copy! However, I have to say an Audiobook might become very welcome in my life, especially when I'm driving or walking or when my eyes are too tired to read. This also means I don't have a lot of pictures about this book at all, which is sad because I like the cover so much but well, it's worth it! Lily hates chemistry. All she wants is to write song lyrics and make music so she can enter the competition. Yet one day, during her chemistry class, someone has left a note for her and she feels intrigued. Whoever the person was, he or she knew what real music was! Lily soon finds herself constantly writing with her anonymous penpal and because of that, she can even write amazing lyrics. But who is the person at the other end? I have to hand it to Kasie West, she knows how to write intriguing and realistic characters. Each character we came across in this book has so much of reality and it so easy to relate to, I absolutely enjoyed each one of them. Lily is very passionate about music and really loves to write lyrics but she feels very shy and self conscious when it comes to that. This character will really show you her passion and it was really nice to see and feel it through her, but she'll also have that realistic side of her that's scared of what people might think about the words. This just really shows how realistic the character is: her need to please the people around her is something a lot of us will be able to relate to! However, I really loved this character's toughness. Although she's very shy about her words, her actions will show you how much she actually cares about what people think about her otherwise. It's a nice contrast added to Lily, one many readers will enjoy. Even though she sometimes is a little bit naive, I really think a lot of readers will love her for her strength to face society and bring it down while still being the shy but passionate girl that doesn't want to be judged. Another character that I absolutely adored was Isabel, the best friend of Lily. I felt like she was a little bit more bright, shiny and funny in comparison to Lily which also shows a nice contrast between the characters. Isabel is a very supportive friend, a very sweet friend and I really appreciated that about her. The thing is, Isabel always means good. During the story you'll see how she wants to set Lily up with boys and how she'll react on Lily's behavior. It's a very funny thing to see because she really tries hard and means well with her intentions. I also feel like Isabel is someone readers will easily relate to. Lastly, I would like to shine a light onto Lily's family! Oh boy, they're a handful! 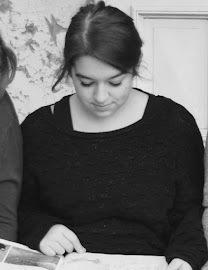 Lily has 3 siblings, one sister and two younger brothers and then her parents. During the book she'll explain how hard it is to have such a big family and how she feels about that. This is yet another thing that would be something people can relate to! Her siblings really gave me a very satisfying feeling. Her sister is more observant than I first thought which brings a very intriguing and special part to the book and her two younger siblings are just too cute for words. I really loved how Kasie West played the card of the massive family, especially because more contrast will be caused with the characters. While Lily has a very busy and noisy family, her penpal has nothing: divorced parents who don't look after the penpal and a stepfather who absolutely doesn't like the penpal. I'm saying penpal because I just want to grab and hold onto its anonymity! The contrast between Lily's penpal and Lily is massive but still, they enjoy each other's company during the exchange. I was really keen on seeing all these contrasts coming together to create the characters individually but also made them seem connected through it all. After all, in real life we're also very diverse but still connected to each other by our passions, dreams and feelings. That's also the thing I adored in PS I Like You, it's so realistic and so real which makes it very easy to relate and to feel with the characters! Lastly, I really want to point out that, as in real life, society will have such an influence that I ADORED! Lily and her penpal will really show us how easy it is to get two faces because of society. Lily being very shy about her words because she don't want to be judged, her penpal by acting like another person so their secret is being kept. While they talk through letters, you'll notice how easy it became for the both of them to talk about the real them and I think it was an important message for us as well as something very unique and special to see during the read. Now, the plot what other things can I say that it was just cute? When I envision Kasie West, I think instant cute! Yet this book, as all her other books, do have more than just cute. This story line was very intriguing because it really shone a light on how people act and how they really are. As mentioned above, the characters will show a very diverse personality with each their own weaknesses and strengths. The plot will really close up on Lily and her penpal for this and show us how diverse you can actually be on daily basis (two faced in other words) and the cause of this. I really was keen on the underlying message in there. Or it might've been me that over-analysed it and thought there was a message! However, I feel like the author made a very special story line by letting the comparison of the real life Lily and the Lily in the letters go on for a while, it shows the reader the effects of the judging society and how Lily goes along with that. The letters provide anonymity in this story which was another factor I was really keen on. First of, it made us get to know both Lily and her penpal way better because the anonymity made them open up and show their real selves. Secondly, it made the mystery come alive: who was at the other end? And that other end of course will make sure this story will become cute and adorable. It's really about the letters at first but the plot will develop more and more towards the question about who is at the other end. Also this was something I really loved to see in the book because I was also very curious to that other end, although I have to say when the development is made it becomes more and more predictable. Even before Lily discovers who it really is, the readers will already have known it for a long time. I think that's a negative side of the story, however I didn't mind it and still really enjoyed it. For others this might be the thing that makes them stop loving the story. I do have to say that after Lily knows who it is, the story will become less predictable! It's just the penpal who isn't a surprise at all. Of course the plot isn't all about the penpal, but this is one of the important things. It's also about Lily overcoming her fears and her judgments towards herself and others! I already said that Lily is very passionate about music and she wants to get into a competition. Because of her noisy and loud family she doesn't have a lot of success with finding the right words, because of her penpal she does. However Lily is still shy to speak up and tell her lyrics. This story will also go onto the journey of opening up for this and finding your way around your weaknesses. I really was keen on that as well. And of course there's Lily's family to give the plot a rest of the penpal and the competition and making room for funny encounters between the members. I really enjoyed these parts because they were so light and so humorous. I also absolutely loved her family and the weird habits they have just make you smile. Lastly, readers will also really be able to enjoy the conflict that will present itself to Lily when she knows her penpal. Her judgments about the person will contradict with what she learned through the letters. It's really intriguing to see how she'll feel about it and how she'll solve this, if she'll solve this at all! Although this book was predictable, I absolutely loved this book. 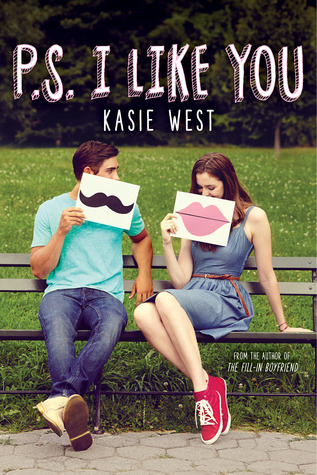 It's all that I had expected from Kasie West, and once again she fulfilled my desires by giving me a very adorable, cute and funny read! The characters are absolutely amazing and also a reflection of so many real people out there. Their two sides, their side to please society and their side where they are themselves, were really raw and also really realistic and I just adored to see it in PS I Like You. 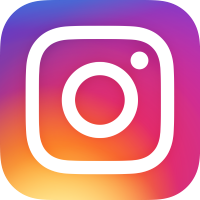 Next to that, the readers are in for a very tender romance that starts with just the anonymity of writing with a stranger and the growing force of this. I also really liked it that we could go on and think about who the penpal may have been, although that was the most predictable part in this book. Yet I couldn't resist it and really fell head over heals with this book: predictable but oh so sweet! It's a great book and I hadn't expected anything less by this author.